From artists to athletes and from upstarts to Fortune 500s, the most successful people and organizations set goals to reach success. Goal setting helps us understand where we’re going, show us how we’re going to get there, and let us know if we’re on track along the way. 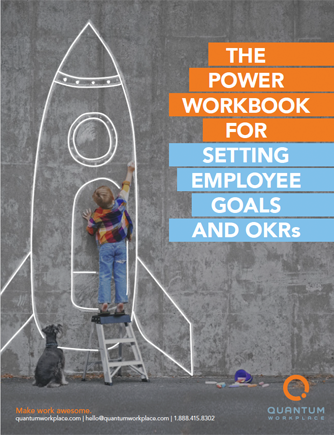 This employee goal-setting workbook will arm you with the information you need to achieve the same direction, visibility, and accountability within your organization.